I'm a wee bit behind schedule here, but out -- as they say -- is out. And the William It Was Really Nothing socks are most definitely out. Click the button or head on over to Ravelry to procure your copy. The pattern should also be turning up in my Etsy shop in a little bit. 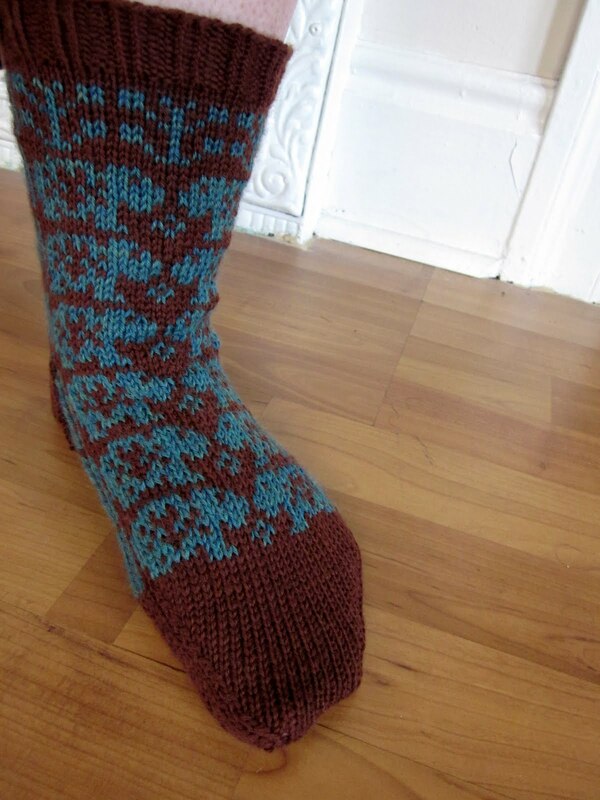 Now blue faience hippos may be your thing, or they may not -- but on the off chance that they are, but socks are not, please keep in mind that we offer the coordinating William It Was Really Nothing mitten pattern as well. It may be Summer now, but the Cold will always come again. Don't let it find you under-dressed. So so cute! Great work, as always. May 23, 2011 at 3:31 p.m.
gorgeous :) will be casting these on soon; I have a cousin who's birthday is coming up; his room is covered with hippos; perfect :). May 24, 2011 at 5:52 a.m.